I have obviously been lazy and I haven’t written anything here :(. Today I finally digged my camera and took out the photos, so here we go. 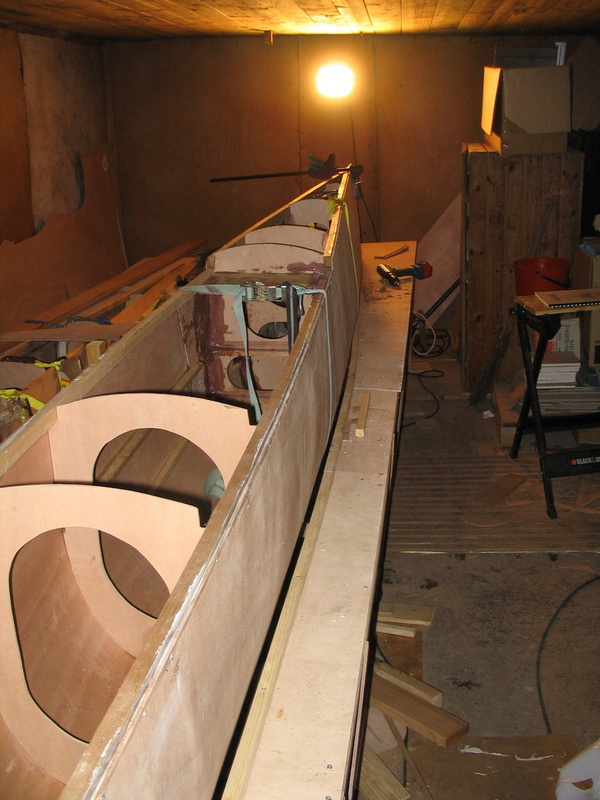 Transom was the first bulkhead glued in, but only from the outside, I might have used too much of epoxy or I should have been more precise. 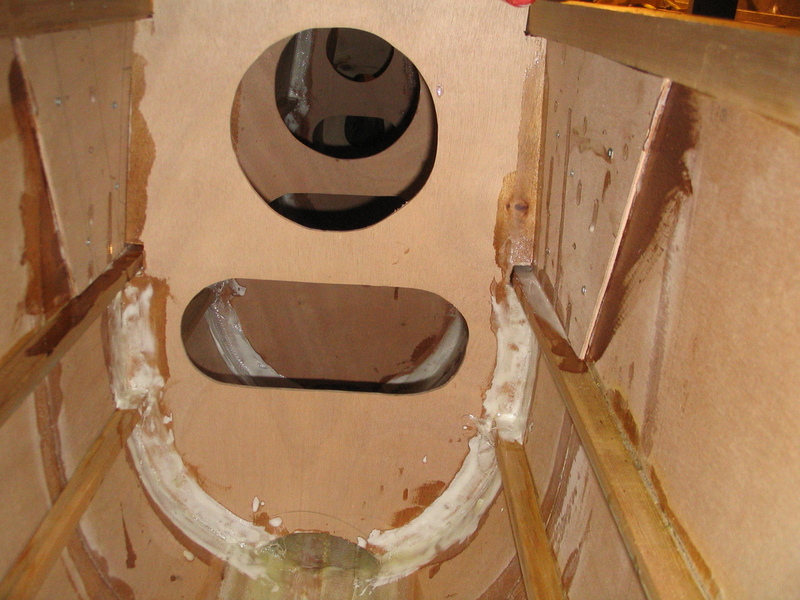 After the transom was glued I replaced the other bulkhead templates with Okume ones. 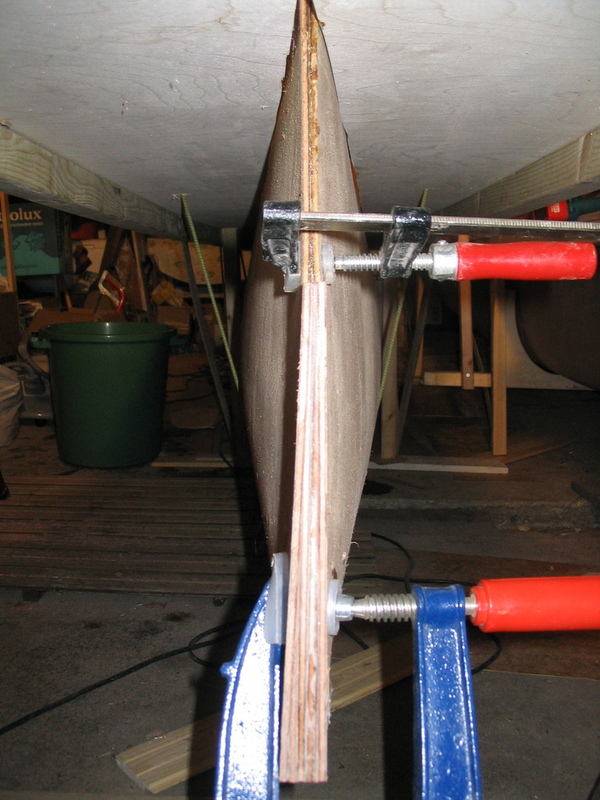 After the hull was straight I inserted the bow stem to see how the bow would look like. 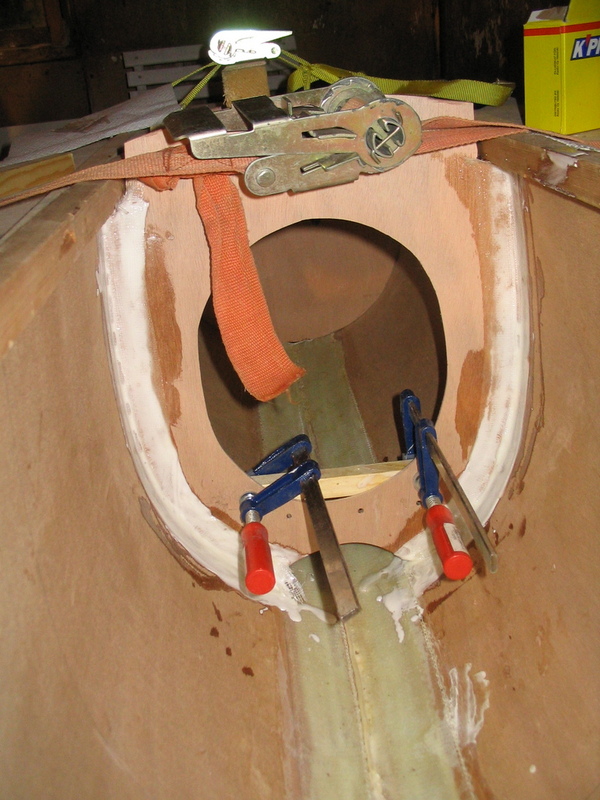 The picture below shows the bow, but of course the stem is not straight in the picture. 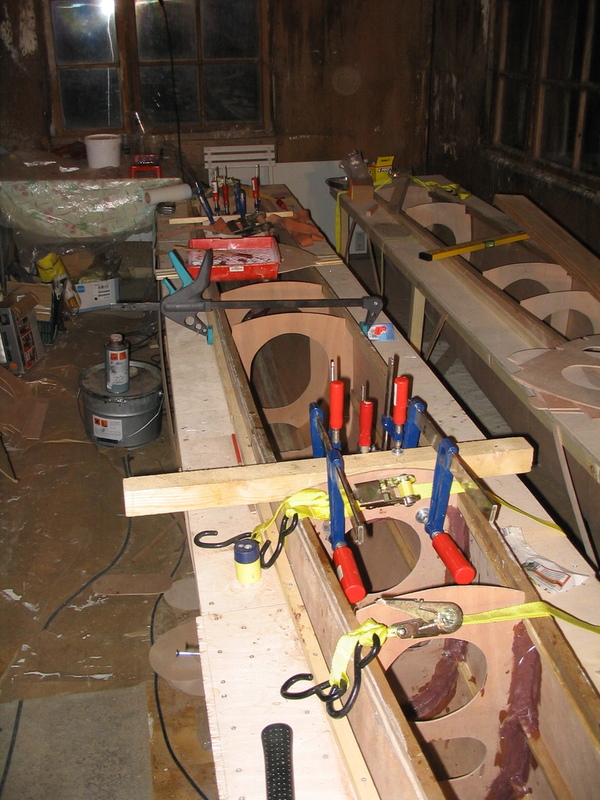 At first only four bulkheads are glued in. 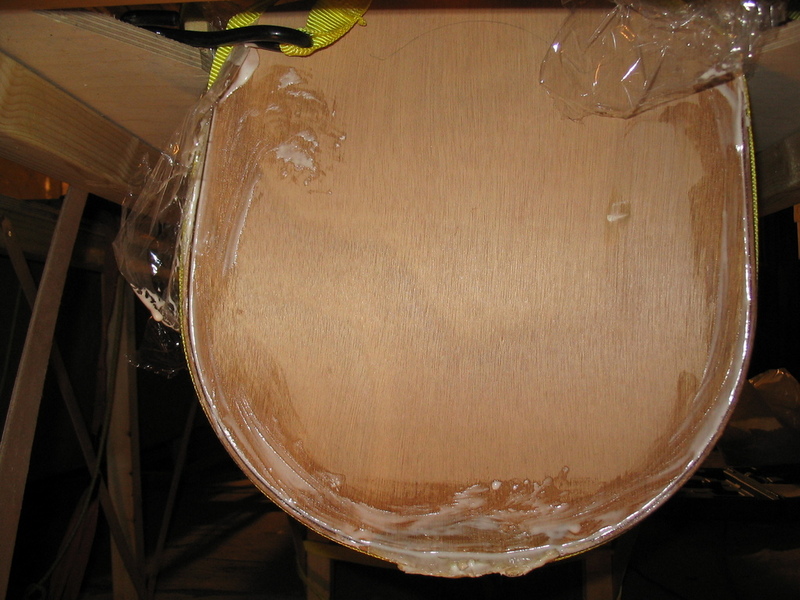 The pictures below shows skin stiffners glued and screwed around bulkhead 8 and bulkhead 15 filled/glassed in. 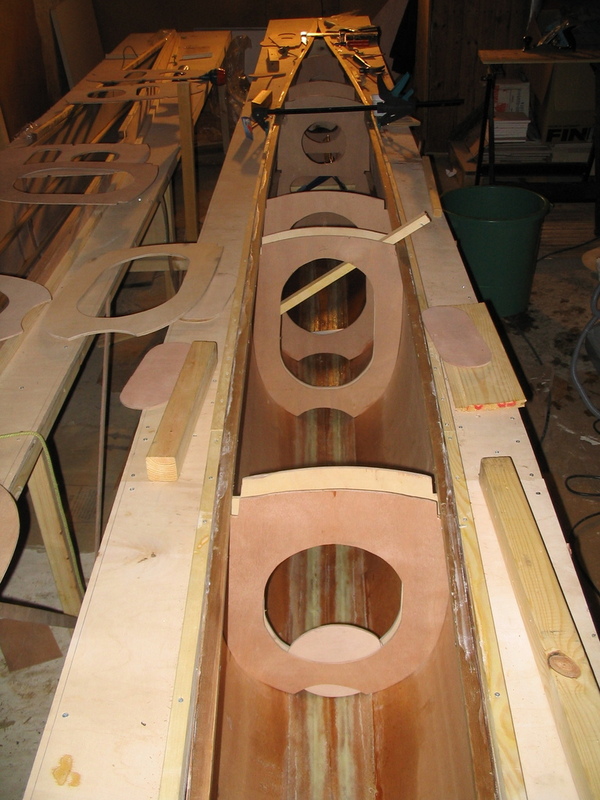 The last picture (well actually first because it’s from glueing hull one ;)) show glueing beam landings. 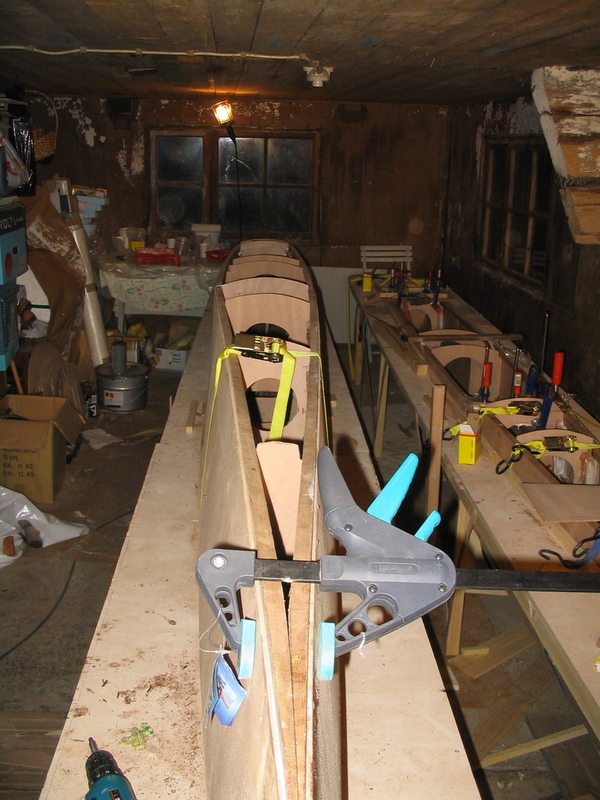 In the last few pictures the first hull is removed from deck jig and flying on top of the jig desk just like on water ;). 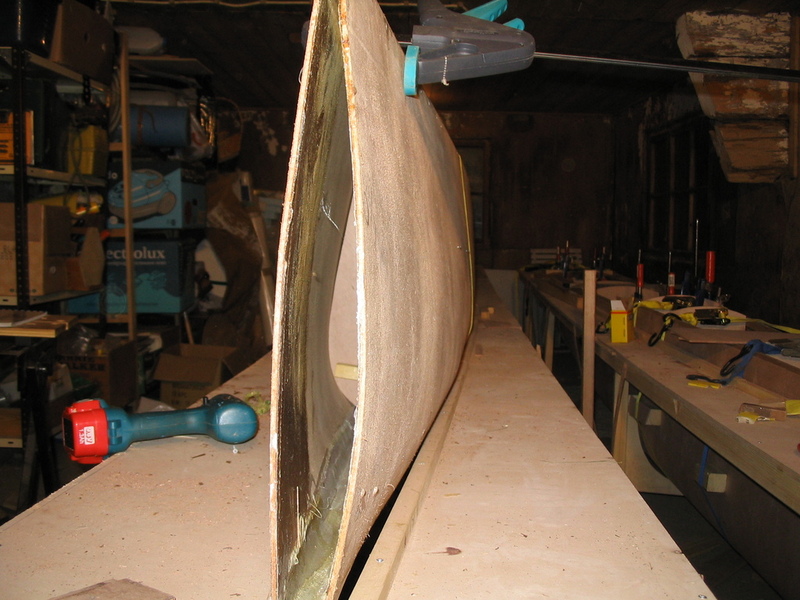 The hull needs to be removed so that the bow can be glued and prepared. You are currently browsing the Projects weblog archives for December, 2006.